Sorry... the 2016 BMW M235 is no longer being sold as new. 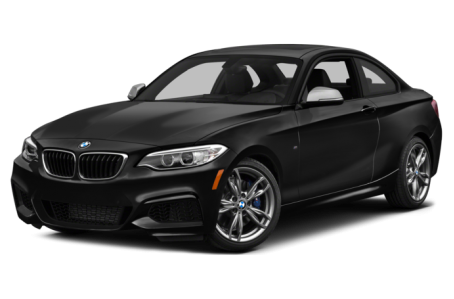 The 2016 BMW M235i is built for driving enthusiasts who want more performance than the 228i can offer. The M235i swaps out the 4-cylinder engine from 228i for a more powerful 6-cylinder and it also has more standard features. The M235i comes as a coupe or a convertible with rear- or all-wheel drive configurations. Outside, the M235i has a more aggressive, bigger mouth on its front end than the 228i. But the rest of the body has the same familiar sport compact styling. Standard features include HID headlights and power moonroof. The convertible has an automatic droptop that retracts in 20 seconds. Powering the M235i is a 320-hp, turbocharged 3.0-liter 6-cylinder mated with an 8-speed sport automatic transmission with paddle shifters. A 6-speed manual transmission is also available at no cost. Fuel economy varies for the M235i depending on its trim and layout. The coupe with an automatic transmission and rear-wheel drive (RWD) configuration is rated 20/31 mpg city/highway by the EPA. With all-wheel drive (AWD), fuel economy drops to 20/30 mpg. With a manual transmission and RWD, it’s rated 19/28 mpg. Like other BMW’s, the M235i has a driver-centric, sporty interior. Standard features include dual-zone automatic climate control, Bluetooth streaming audio, and iDrive multimedia system with 6.5-inch screen. Auto-dimming rearview mirrors, leather upholstery, heated front seats and steering wheel, a navigation system, and a Harmon Kardon premium audio system are also available. The M235i earned a Top Safety Pick+ Award from the IIHS. Standard features include front airbags, antilock brakes, and electronic stability system. Lane departure warning, self-parking system, front and rear parking sensors are also available.